Findmypast user, Samantha Evangelista had always heard family rumours about her great-grandfather being involved in some sort of fraud. It wasn't until she searched through Findmypast's ever-growing newspaper archive that she was able to corroborate the story. 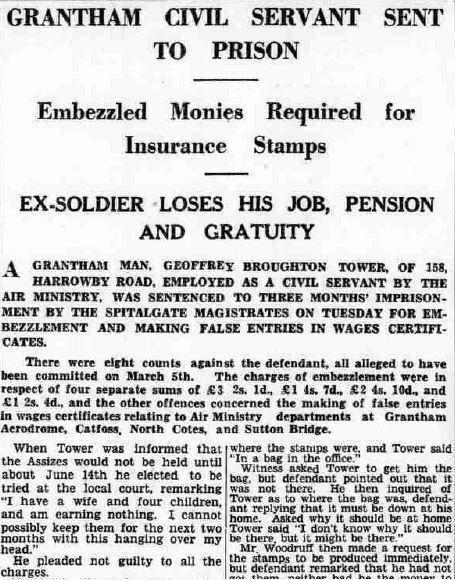 Civil servant and former soldier, Geoffrey Broughton Tower was imprisoned by Spitalgate Magistrates for embezzling monies and making fraudulent entries on wage certificates. The full news story can be found in the Grantham Journal. Grantham Journal, 24 April 1937Image © Johnston Press plc. Image created courtesy of THE BRITISH LIBRARY BOARD. The revelation may not have been one that Samantha wanted to read, but nonetheless, she was grateful for the amount of information she gleaned about her ancestor from it. The article gives me so much information about his life and times! 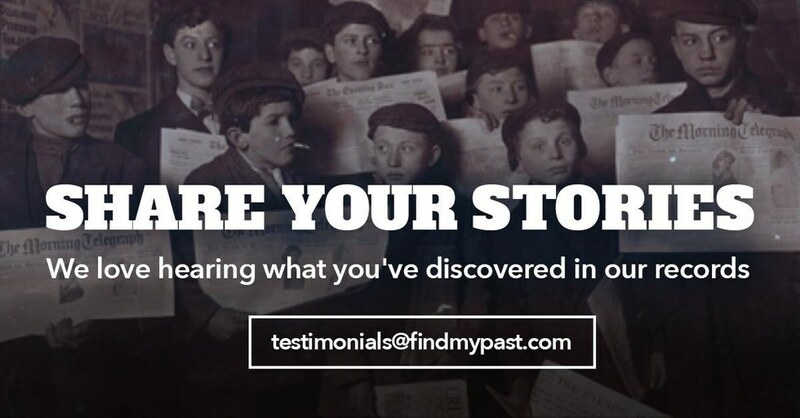 What's more, this wasn't the first time Samantha had turned to Findmypast's rich newspaper collection to discover details on her family that she wouldn't find elsewhere. I also found out lots about great uncles including Admirals and the suicide of a singer who was another great uncle. Samantha's story proves the value historic newspapers can bring to your family research. If you've hit a dead end, are hungry for more details on certain ancestors or simply want to see if your relatives created their own headlines, start searching our newspaper collections and you won't be disappointed.